Daily: 10:00 A.M. - 7:00 P.M. 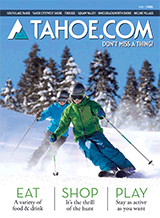 The best wines, cheeses, catering, deli, gift baskets, specialty foods, and gifts in Lake Tahoe for over 40 years. Providing top quality products and exceptional service is our mission. We love taking care of our customers and do it with a knowledgeable staff who taste and test every product we introduce to meet our high standards.